Matthieu Guisolphe is the latest addition at Asian Sky Group. As Rotary Program Sales Manager, Matthieu is based in Kuala Lumpur, Malaysia and now covers the Southeast Asia market. He most recently worked for Airbus Helicopters, offering sales support on maintenance and repair requests, retrofits and ensuring clients had all the necessary tools and know-how for their operations. Moving forward with Asian Sky Group, Matthieu sees the potential for the rotary market in Southeast Asia, particularly in the VIP/Corporate segment. What is the outlook on the rotary market in Southeast Asia? The rotary market in this region has posted limited growth in the past few years, with most countries only increasing their fleet sizes by just a few helicopters. When compared to a market like Mainland China this is minimal, however there’s still a steady demand. The main reason for this is that the primary market driver in the past years has been the oil and gas (O&G) industry. With the downturn in O&G, several operators in the region have looked to diversify their fleets. The multi-mission segment is growing and, additionally, these markets are now utilizing helicopters for VIP and corporate use. Which markets have the most potential for the VIP/corporate segment? Southeast Asia is home to some of the fastest-growing economies, which is bringing new industries to respective countries. As some manufacturing moves away from Mainland China, Vietnam and other Southeast Asian countries have presented themselves as viable alternatives. While the infrastructure in most of these countries isn’t quite there yet, a solution for factory owners and entrepreneurs entering other industries could be helicopters that would transfer these VIPs from city centers to remote areas of the country. Indonesia is also an interesting market. As one of the largest economies in Southeast Asia, Indonesia is home to a growing number of wealthy individuals. Considering the country’s notorious traffic issues, particularly in Jakarta and Bandung in West Java, the use of helicopters makes sense for VIPs hoping to maximize their time and avoid the congestion. For now, aside from private owners, there are very few operators dedicated to providing this service in the city but there are also notable companies — Uber, Grab and Ascent, expressing interest in providing this service. There’s certainly a lot of potential there. Malaysia has one of the strongest economies and is home to one of the largest VIP/corporate fleets in the region. Successful entrepreneurs and royal families are accustomed to flying across the country to save time and reduce the hassle. Major OEMs, such as Airbus Helicopters and Leonardo, have clearly identified Malaysia as such and have established MRO Centres to support these VIP Customers. What drives demand for this mission segment in Southeast Asia? The driver for VIP/corporate use varies from country to country, just as their economies and geography varies. In places like the Philippines and Indonesia, which are both made up of thousands of smaller islands, the use of helicopters for charter makes travel to and from remote places easier and quicker. Growing industries in Vietnam, and even Cambodia and Laos, drive the need for quicker and more efficient transport in places where there is little infrastructure in place. 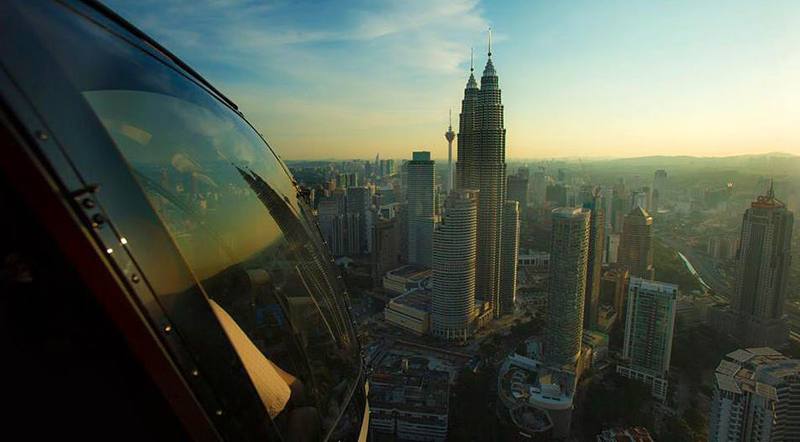 In Malaysia, helicopter is the fastest alternative to very often congested roads and access to isolated areas. Overall, many countries in this region are experiencing economic growth, which has consequently created a need for helicopter charter for many reasons. Is there a model or manufacturer doing particularly well in this region? Airbus Helicopters is the dominant manufacturer in most countries of Southeast Asia. For example, in Airbus Helicopters’ Dolphin family, I expect the H160 to be a successful product, especially for those owners looking to get an upgraded and more modern helicopter. Leonardo has been a ferocious competitor to Airbus Helicopters in this segment and has been strongly marketing their brand as a very good alternative. Bell Helicopter also does notably well. A lot of manufacturers are now seeing the potential in this market. Traditional OEMs have positioned themselves to further support and grow the industries in this region. Russian Helicopters have recently shown increased interest in growing their business in Southeast Asia. What are your expectations for the rotary industry in Southeast Asia, across all mission segments? While the O&G market recovers, there may be potential for helicopters for further O&G exploration in the future. 2019 will be a decisive year for this market segment and should give more visibility to O&G players in the region. There’s also the potential for helicopters used for alternative sources of energy, such as wind farms — although this may be a long way off. As China and Northeast Asia look like a promising market for windfarms, I don’t see Southeast Asia as a mature enough market for such segment just yet. I expect a lot of operators in this region will focus on helicopters operations in multi-mission segments, which can include cargo lifting, forestry, firefighting, aerial photography and more. A lot of government entities are also focusing on emergency medical services, which will take time and money to get developed and implemented in the region. However, we can see such operations are starting to take place in various countries, most recently in Malaysia, as well. I expect these mission segments to grow over the next couple of years. And, of course, there will be stable opportunities in the VIP/corporate and charter segments, which is seemingly becoming necessary for operators in this region to provide.